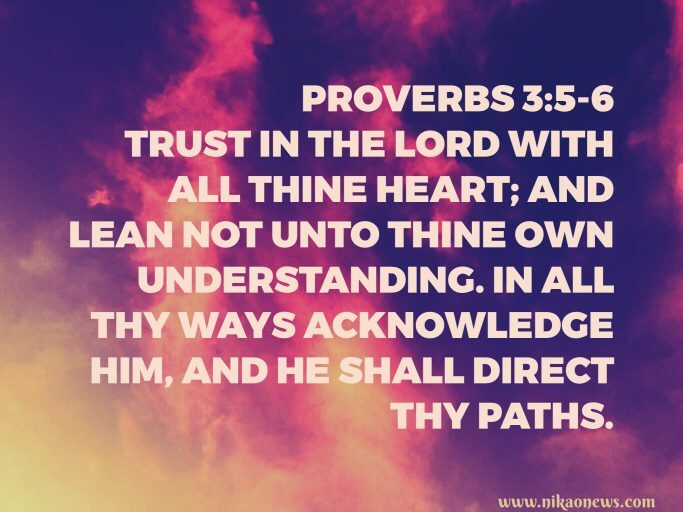 Are you trusting God with your life? Are you trying to make sense of things in your life where you have no control? Do you acknowledge God with everything in your life? Can you honestly admit that God is #1 in your life? How often are you looking at the television? Are you allowing God to direct your paths? Those are simple questions but most importantly, could you answer them honestly? As we move into the second month of the year, make a commitment to study God’s Word more. It is so easy to get sidetracked because of the distractions around us. You ask “what distractions”? Only you can answer that question. Talking on the phone for hours. Spending hours on YouTube, Facebook, Twitter, Gab, and etc. Reading and responding to your email for hours. Spending too much time on YOU! Which one did you relate to? Did you relate to all of them? None of us are exempt. Be totally and outrageously and awesomely blessed! This is an awesome reminder for us all to reflect upon. Thank you so much for your blog.